Nalamdana’s vision is to create positive social change through communication. We believe access to complete and correct information is a basic right for all communities irrespective of social, economic or educational status. Our mission is to use creative, innovative, participatory behaviour change communication: Theater, Games, Videos, CDs, etc. This will enable our target audiences to make better informed decisions about their health and for their families. This one-hour film shows how a loving couple, full of dreams, find their world topsy turvy by the end of a gripping one hour story. The domestic violence and husband’s drinking drive the young mother and wife to suicide. The deliberate negative ending has already created positive change in some women. One woman in the test audience came up to Jeevanandham (after seeing the film) and cried, telling him that this was her real story too. She said she had been on the brink of suicide many times, but now after seeing what happened to the little boy, she was determined to live, fight it out and save her child. We have done many projects and addressed many issues, but whether it was HIV/AIDS awareness, Maternal and Child health, Women’s empowerment or Child rights, we found change has to happen at home. Home is where the heart is. It is also where the violence and drink addiction is. The most affected are women and children. We have converted one of our most popular dramas into a digital film thanks to donations from our friends and various partners. Additional funding would allow us to copy and distribute the video to the village groups, slum groups, students and other NGOs we work with, or perhaps expand the production into a full-length film. Nandavanathil (“in the perfect garden”) was deliberately chosen to depict the content of the famous and popular song (a Tamil couplet?) which tells the story of an aandi (man) – there was this man in the perfect garden – who prayed to the lord for ten whole months and brought forth a newly created pot. But lo! he danced and frolicked and carelessly dropped the same – smattering it to pieces. We thank the wonderful people of a small village near Gingee who wholeheartedly helped us with their houses, school, people and logistics. We have made this film with financial assistance from: KIAWAH Trust, Friends of Nalamdana and The Deshpande Foundation. To distribute it widely. Hopefully we may be able to change the life styles of some and save many they affect. This film is potentially a major tool in explaining child protection with age appropriate information. No part of the film shows objectionable or violent abuse scenes. This story that was originally staged as a street play, was so well received by audiences young and old that the idea for a video was developed. A young girl, Pechi, is selling flowers on the beach when Chemmal, a teacher, encounters her. When she entreats him to buy flowers, he asks her kindly, why she is not in school instead. His question triggers a panicked look on her face and she runs away leaving Chemmal puzzled and distraught, wondering what could have happened in this young girls life that has caused her such distress. He walks along the shore thinking about what just happened when he sees a beautiful conch shell washed up by the waves. He picks it up and absentmindedly rubs it and a genie comes out to his great surprise. The genie, Jeeboomba, and Chemmal form an unlikely alliance to try to discover young Pechi’s secret and dig into her past to see how they can help her. Jeeboombaa not only explains what happened to Pechi, but also outlines the key concept of Child Rights in an easy to understand manner. 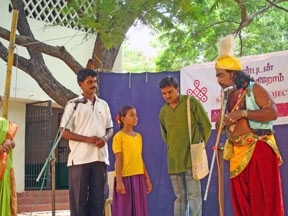 This magic character worked very well in the live drama’s performed by Nalamdana in many communities and schools to help children, teachers and parents understand. The Maya Changu DVD is available from Nalamdana for a nominal fee. Please contact us. The film is certified and cleared by the Censor Board, Maaya Changu also enjoys the distinction of a special commendation letter from them, citing that the film is cleared for both private and public viewing by all above 12 years of age, and children with adult supervision if under 12 years of age. Azhage vaa is a short film, 1.5 minutes duration, created in 2006. It shows how an HIV positive wife finds support from her loving husband. This ad film, with an urban slant, features a song sung by the leading Tamil playback singer, S.P. Balasubramaniam, from Nalamdana’s own tape. Local sponsors help Nalamdana to screen this film in cinema halls. It is also used by Nalamnada’s innovative trainers in their various workshops. One song from the Azhage audio tape was shot as a music video and telecast on a popular music program on leading Satellite TV. The video may be purchased for Rs. 500. Pesu Maname Pesu is a one-hour tele film in Tamil with two endings, adapted from a field-tested HIV street play script, followed by a discussion with a doctor. As it has multiple endings it provokes argument and discussion when audiences are asked to choose their preferred ending. Part I is the story of the village girl who falls a victim to AIDS. Part 2 is a discussion with Dr.Suniti Solomon, who answers questions raised in the story about HIV AIDS. It can be used in training workshops and we have had excellent feedback from those who have used it in the field. Forty cassettes were bought by the AIDS Prevention and Control Society (APAC), the nodal agency for USAID projects for distribution among NGOs. Based as they are on our field experience, these IEC materials have been used very successfully in the field. Part I is available in Kannada, Telugu and Malayalam as well. Nalamdana seeks funds to produce more of these materials, to translate these into other Indian languages, notably the languages of states where HIV/AIDS infection is high. Kuyillum Mayillum (Cuckoo and Peacock) is a set of easy to sing songs in Tamil, created by girls, for girls, on personal hygiene, nutrition, right to education and the importance of good parenting. 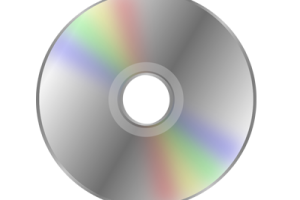 The CD is very popular and Nalamdana is making more copies to be given free among state run schools. Donations welcome. 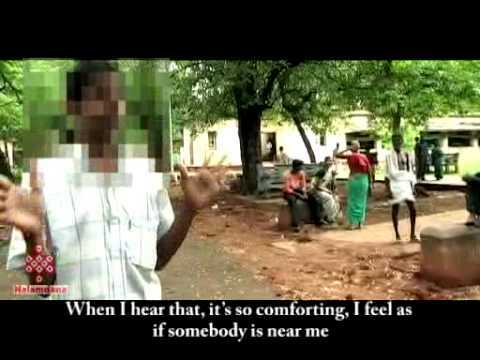 Aseema Trust and Nalamdana (Partners on the South India Girl Child Project funded by World Education, Boston) released a CD of 8 songs called Kuyillum Mayillum meaning Cuckoo and Peacock, to symbolise the songs created by vulnerable girls. Each song is on an important issue as identified by these young girls. Trained by Nalamdana, some have sung in the tape while others have written the songs. Trained by Aseema, some girls have learned to dance to the songs. The audio release function held at the Kalakshetra auditorium was attended by special invitees and over 500 school girl students from different institutions. The audio CD was formally released by the Consul General of the United States of America in Chennai, David T. Hopper and first copy was given to special guest; Ms.Shakuntala Sharma, Secretary, The Children’s Garden School in the presence of special invitee Shri. S. P Balasubramaniam, noted playback singer who had also sung one of the songs with the girls as chorus. The representatives of Aseema Trust, World Education Inc and Nalamdana stressed how this project helped to reach vulnerable girls, and how each song was on an important issue, as identified by these young girls. The song and dance tape is being distributed free in local schools and slum communities where both organizations work. This 3 in 1 jigsaw puzzles is built around simple illustrations and captions. The puzzle works well as training material for NGO staff, SHG groups, students, and in all small group discussions. It focuses on basic facts such as how HIV spreads, how HIV does not spread, and how to protect yourself. Available in English, Tamil, Hindi and Marathi. Availability: Please contact us. Cost: Rs.35 per box containing all three. Penin Perumai (the pride of being a girl) is a story designed and drawn by adolescents in Nalamdana’s Youth Education and Leadership Program. 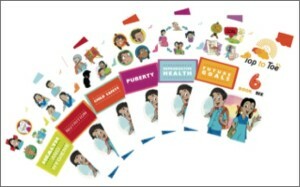 The flip-chart helps explain facts about puberty and reproduction to young adults and adolescents. A young village girl, Priya, is puzzled when a friend stops coming to school because she has become a “big girl.” A friendly village nurse in the story provides information on menstruation and puberty. This project brings critical life skills to children in government schools so they can learn how to protect their bodies and nurture their ambitions to grow up healthy and bright. It addresses tough issues around child abuse. This curriculum is supported by a video, Maaya Changu (Magic Conch) and Top to Toe Booklets. In 2013, nearly 5,000 school children were reached and more than 1000 booklets distributed to about 350 families.